Creation of 3D art on the street is a trend that has really caught on. Brands use this form of art to showcase their products in such a way as to definitely catch the eye. The thing about three dimensional art is it can really people to come closer to view it as from a distance a new piece of art can literally look like a new building or landmark.Since the art is so much in depth and details, it is quite a difficult task to create and there may be just a handful of people who have mastered the perfect creation of three dimensional art. 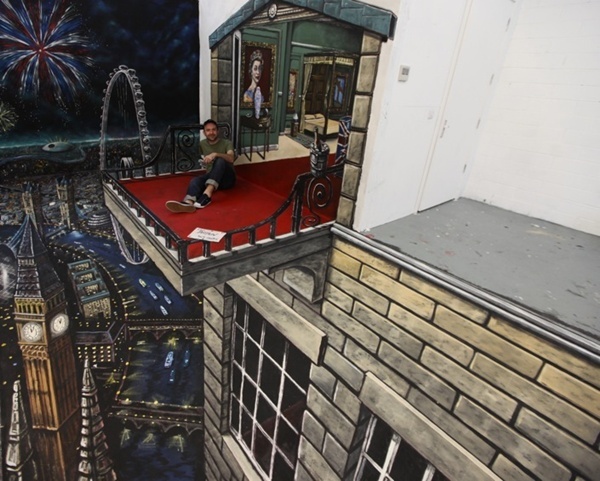 Notable among these are Edgar Muller, Julian Beever and the group of artists who are part of Street Advertising, UK. The creation of this type of art is done by painting the object in question really close to the lens as quite compressed and small. The objects that are at a distance are elongated outwards. This is how the art looks three dimensional and really makes a major impact. You may be able to achieve this effect on a paper, but to actually do this on the street is entirely a different thing. Ranging from a very realistic crevice in which a sewer is shown complete with a monster in it to the drawing of a pool in depth, the examples of street art that is three dimensional is quite mind boggling. Some of them are so good that people on the street start acting as if what is shown in the art is really there and they ought to be avoiding or sidestepping it. You may have seen fantastic examples of such three dimensional art showing a huge valley in the middle of a street with entirely detailed work going on inside.